Three years after its original Japanese debut, and almost six months after its US launch, Yo-Kai Watch finally graces Europe this Friday. Japanese gamers are about to receive the third iteration in Level-5’s ghost hunting RPG, but don’t let this put you off – the original Yo-Kai Watch is a very good game, easily on par with Professor Layton, Fantasy Life, Inazuma Eleven and other Level-5 3DS hits. The US release was greeted by a mixture of 7s, 8s and 9s at launch. 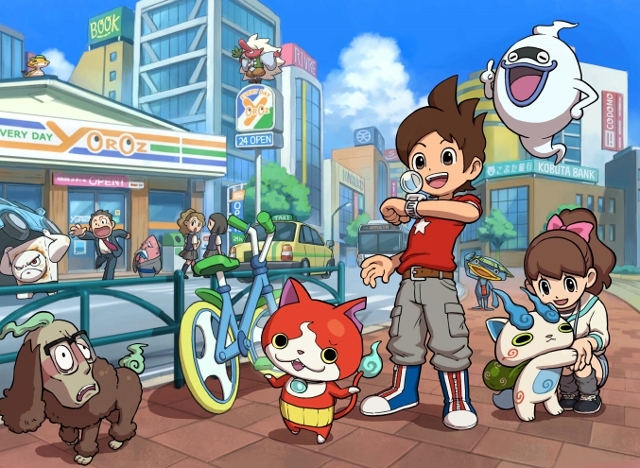 “Don’t let Yo-Kai Watch’s kiddie appeal fool you: It might not be as deep as your average, adult-style RPG, but that isn’t necessarily a bad thing. Level-5’s gradual evolution of their “house style” has amounted to a true successor to Pokemon—one entirely free of its predecessor’s 8-bit baggage” said US Gamer, before handing out a 4/5. Reviews from European outlets have been likewise positive. “Yo-Kai Watch is a charming and sprawling RPG, one that appeals to a younger audience with its adorable characters and moral-heavy story, but also to mature players with its intense and complex battle system” said God is a Geek. With the right marketing push behind it, Nintendo could very well prove to the naysayers that there’s life in the 3DS yet. The 3DS also gets Super Punch-Out!! (£7.19 – New 3DS only), a newfangled version of the old Nokia timewaster Sssnakes (£1.79), Mini Mario & Friends: amiibo Challenge (free!) and Castle Conqueror EX (€3.99). The fact that Nintendo hasn’t listed Castle Conqueror EX’s price in GBP would suggest that it’s only due in some parts of Europe this week. This is quite often the case for Circle Ent’s software. The smashing SteamWorld Heist meanwhile receives its first piece of DLC. Subtitled The Outsider, it sees Captain Piper teaming up with a new ally who has a rather mysterious past. New missions, gear, weapons and hats are promised, in addition to an extra playable character. The £4.49 asking price seems reasonable to us. 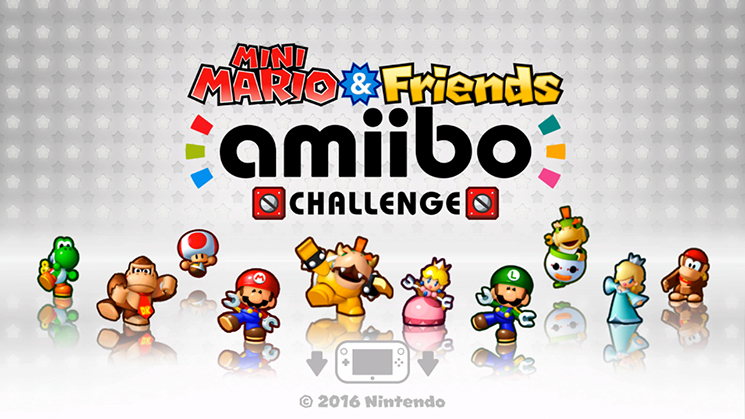 Mini Mario & Friends: amiibo Challenge is also arriving on Wii U, again for sweet nothing. A spin-off of the Mario vs. Donkey Kong series, this puzzler entails guiding characters to an exit by manipulating the environment via the touchscreen. Eleven characters feature in total, each with their own abilities – Yoshi can eat enemies, while Luigi can leap higher than others. Although it’s a free download, and it isn’t stipulated as such, it sounds like you’ll need at least one amiibo to play it. This, of course, means taking them out the box too. Wah! 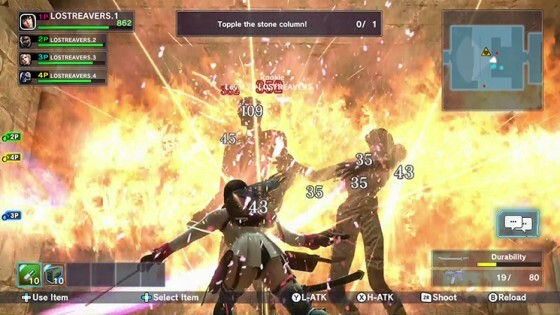 amiibo Challenge isn’t the only free to play release launching this week – Bandai-Namco’s online shooter Lost Reavers makes its Wii U debut on Thursday, following the beta from earlier this month. We thought we were in for a decent, if dated, co-op shooter. Eurogamer’s video confirms that it is indeed dated. Also: impressively bad. “Lost Reavers for the Wii U is probably the worst game I’ve played this year, so far” they warned, while mocking the horridly ‘90s character design. One character is seen running around with their arms spread out, as if pretending to be an airplane. Good Lord. The Wii U is also set to receive the randomised 2D shooter Shutshimi – which we covered here, making favourable comparisons to the Wario Ware series – colourful auto runner Run Run and Die (£3.59), which isn’t to be confused with the PC endless runner Run or Die, drawing program PixelMaker (£1.99) and TAP TAP ARCADE (£1.79) – a compilation of RCMADIAX’s Don’t Crash and Spikey Walls. The latter is a Flappy Bird clone, and that’s probably all you need to know. As well as launching RTS Castle Conqueror EX in some parts of the world this week, the vast majority of Circle Ent’s back catalogue goes down in price temporarily from Thursday. The likes of Witch & Hero and Tappingo 2 can be had for 79p while Adventure Bar Story and Mercenaries Saga 2 will set you back £1.99 each. Conception II: Children of the Seven Stars meanwhile falls to £8.99 on 3DS, while Teslagrad on Wii U drops to £9.50. And despite being just a few weeks old, Epic Dumpster Bear gets a permanent drop from £7.49 to £4.99. Apparently it’s alright. Tags: Lost Reavers, Mini Mario & Friends: amiibo Challenge, Shutshimi, SteamWorld Heist, Super Punch-Out! !